The time you spend commuting to and from work can often feel like wasted time; time that could be better spent relaxing, or working towards your goals. 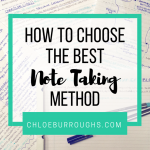 In this blog post I’m going to walk you through 13 ways to study on your commute so you can tick off those study tasks faster and create more time in your week to do the things you WANT to do #helloNetflix. But first, if you want to become a happier, more productive and more successful student, sign up to my free resource library and get access to the awesome printables and planners I've created. During my studies, my daily commute was about two hours. Now, I enjoy driving but constant traffic and motorway drivers intent on killing me was pretty grating after a while. I’d get home and hate the fact that I’d just wasted an hour in the car where I could have been studying. So, I started testing out some techniques which you can use too if you want to study on your commute. The great thing about being an independent adult learner is you get to decide when you study. 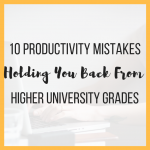 The not-necessarily-so-easy thing is that you are responsible for working out when you get your best studying done and flexing your schedule to make it happen. So, you have a decision to make. Do you actually want to study on your commute? 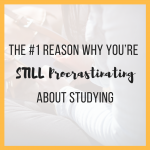 Or would you rather relax, listen to music, read, call a friend…and then study at a different time of the day? 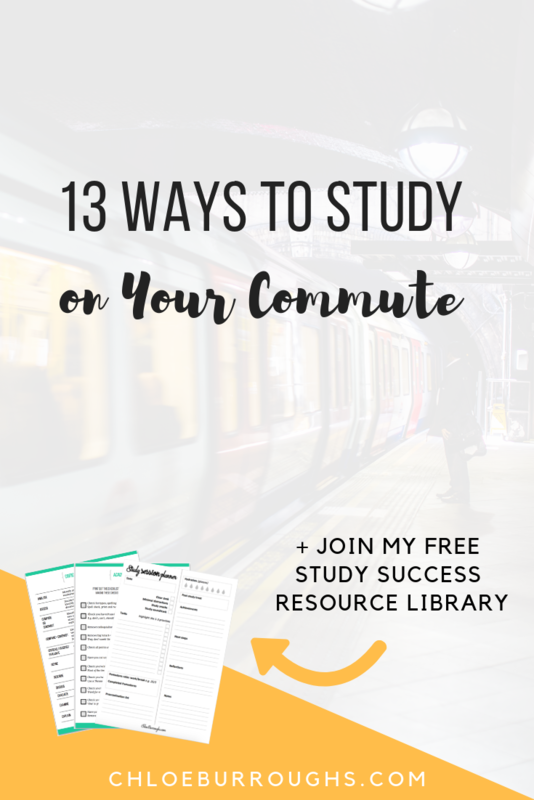 Finding ways to study on your commute could help you to clear time in your evenings and weekends to relax and do the things you actually want to do. Or, relaxing on your commute could replenish your energy and motivation, making it easier to jump straight into studying when you get home from work. Ultimately, test both and see what works for you. I would often study during my commute but I also LOVE hosting a very loud, solo concert in my car because singing my poorly-tuned heart out allows me to shake off the stress from my day so I can show up and work in the evening with more energy and focus. This goes without saying, but…never place studying above the safety of you and others around you. If you drive to work and are likely to get distracted if you try and do anything other than focus on the road ahead, you might want to pick another time of day to study, or possibly trial study tasks that have a lower cognitive load so they’re easier for your brain. The tasks you can complete when you study on your commute will obviously vary depending on whether you drive, walk or travel on public transport. The focus of these tasks is on auditory learning. 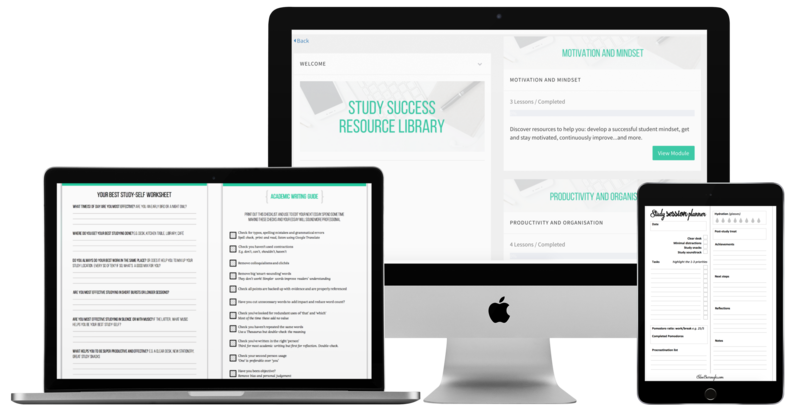 Come up with flashcard content using your study materials such as definitions or simple questions. Record yourself reading the question, then leave a gap of 10-15 seconds, then read the answer. Play this back when you study on your commute and try to answer the question correctly in the gap. 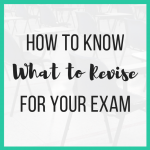 Testing your knowledge helps you work out what you don’t know or don’t remember, and strengthens your ability to recall that information in an exam. On public transport, the attention you can dedicate to studying is a lot greater. As well as the auditory learning tasks listed above, you can also bring in visual learning tasks. As well as auditory learning you can also bring in visual learning when you’re not having to focus on driving, or walking without bumping into people. 13. Email your tutor if you have any questions about an upcoming essay or exam, or if you’re stuck on a tricky concept and are not sure how to move forwards. 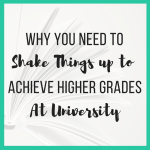 I hope you've found this blog post useful. 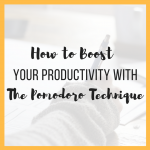 Don't forget to sign up to my free resource library and get access to the awesome printables and planners I've created to help you become a happier, more productive and more successful student.